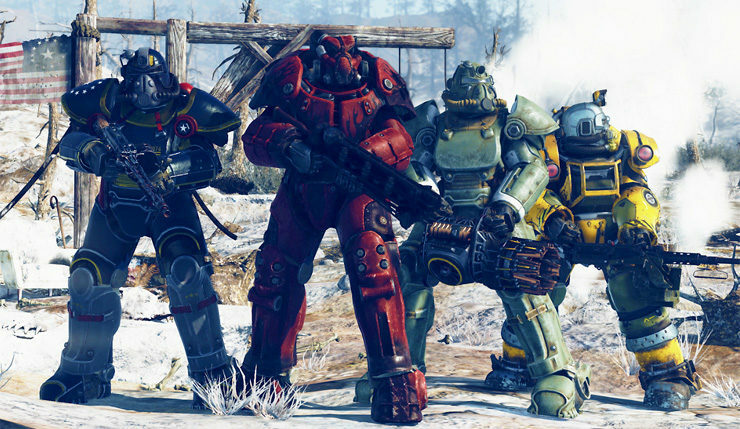 Following various beta tests, Fallout 76 finally released in full earlier this week, and while some are having fun with the game, it isn’t like to win any technical awards. That’s not surprising, as the game is running on a retrofitted version of Fallout 4’s engine, which already had issues of its own. So, if you’re planning to play Fallout 76 on consoles and want to avoid as much of that trademark Bethesda jank as possible, which platform should you choose? Well, the techheads at Digital Foundry took Fallout 76 for a spin on the Xbox One, Xbox One X, PS4, and PS4 Pro, and the results were somewhat inconclusive. You can check out their video, below. On the resolution front, the Xbox One X is the clear winner, running at a native 4K (3840 x 2160) resolution. Meanwhile, the PS4 Pro runs at 2560×1440, the base PS4 runs at a standard 1920×1080, and the Xbox One S features dynamic resolution, which can drop the horizontal pixel count to as low as 1440×1080. As for performance, well, it’s a bit of a mess across the board, hitching, stuttering, and struggling to maintain 30fps on all platforms. The Digital Foundry guys tested in a taxing mountainous area, and found the base PS4 chugged along at 20fps with dips to 15fps and the Xbox One X plunged as low 10fps! Meanwhile, the PS4 Pro and Xbox One S ran at a relatively stable 30fps. Meanwhile, in other areas, the base PS4 excelled while other platforms tanked. In other words, there seems to be no consistency and no obvious bottleneck causing the issues. Digital Foundry speculates networking might be the issue, but who knows? Beyond resolution and performance, all consoles are fairly similar, with textures, draw-in, and other effects being the same. PS4 Pro and Xbox One X do both boast somewhat better volumetric lighting than the base-model consoles. So, which console should you play Fallout 76 on? Well, considering performance is pretty much a hash, you may as well go with the platform with the best resolution, which is the Xbox One X. That said, don’t expect a flawless visual feast on any console.